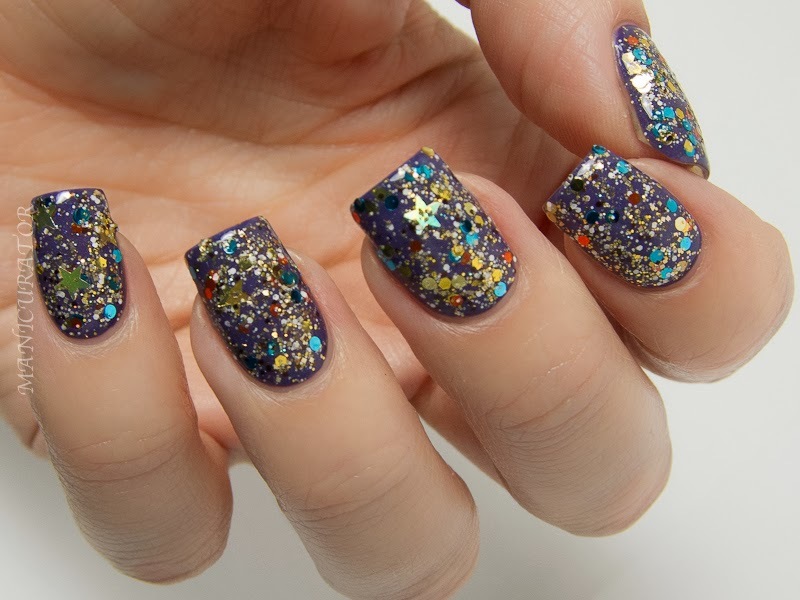 These are on sale now for $8.75 a bottle and can be purchased at Http://www.KBShimmer.com. For sales outside of the US visit http://www.HarlowandCo.org. 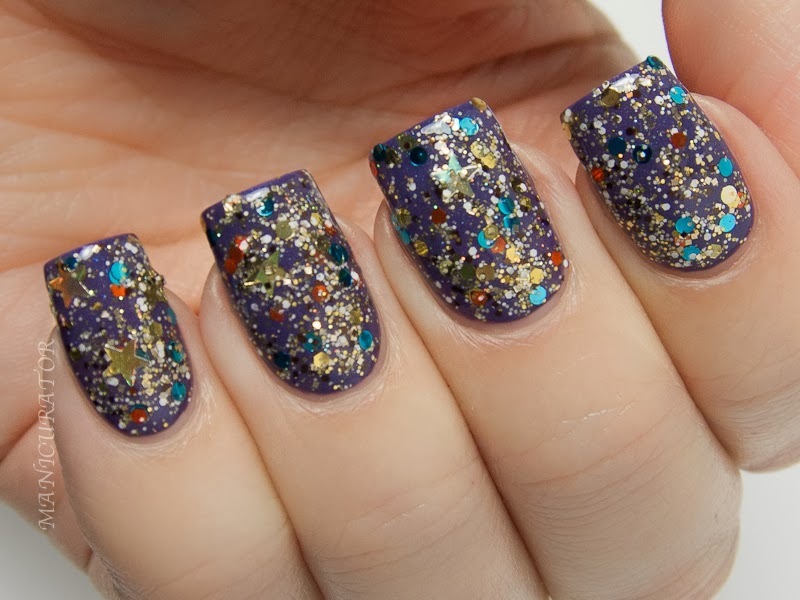 KBShimmer will also be offering free priority shipping through 12/31 for all orders over $50. 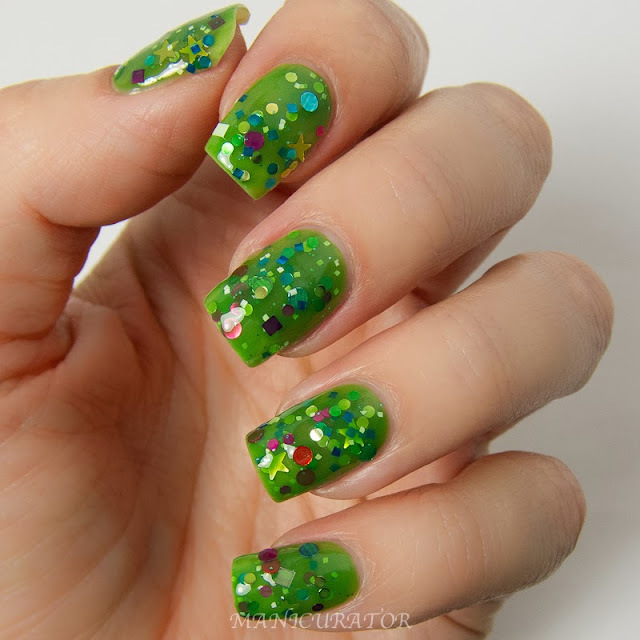 All swatches have KBShimmer Basic Training base coat and KBShimmer Clearly On Top top coat. One more thing before we start with the photo love and actual reviews...I had a terrible break on my middle finger right after receiving this amazing box to review. I patched it quite remarkably with Orly Nail Rescue, but I just wanted to let you know..if you see anything wonky looking (ie not smooth) on my middle finger it's that..not the polish in any way. OK, now let's see!! I wanted a shade that makes you think SNOW! The first snow has always always been so magical for me, that is what I wanted to evoke with this collaboration. Christy Rose got it on her first try! I did find I needed 3 coats to reach an opacity that I was happy with. And please note..the snowflakes are larger than the circle glitters and even after top coat, on my curvy nails, the ends of the snowflakes stick up. If I were wearing for more than a day I'd apply 2 coats of top coat. The snowflakes are a bit heavier and tend to sink down more. I turned my bottle upside for a moment before application and had to fish for just one, the others came out of the bottle easily. 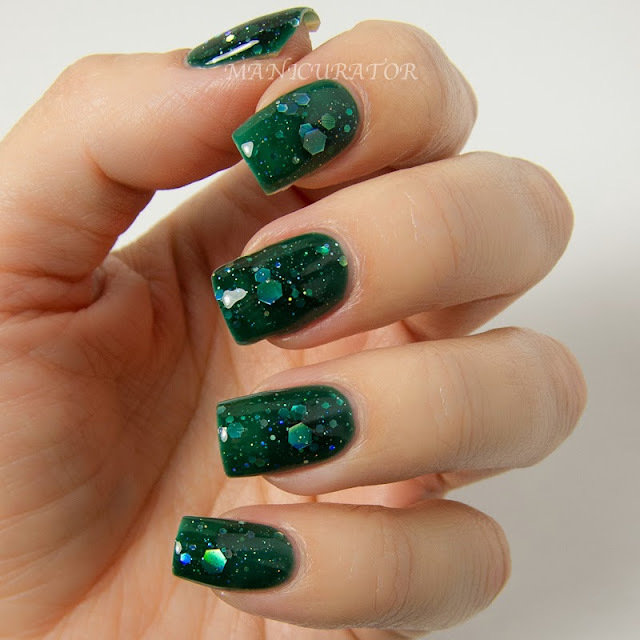 KBShimmer Green Hex And Glam – Kayla from Kayla Shevonne – A forest green jelly with holographic hex glitters. Best in 3 coats. This one was really my surprise favorite!! I don't ever expect to like greens, because...well, I don't like greens. 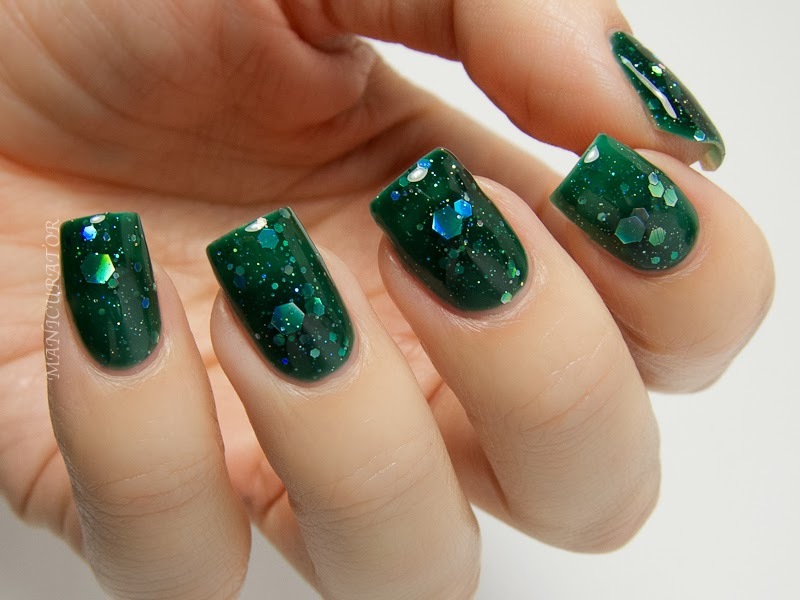 But this is some kind of gorgeous pine green that I honestly did not want to take off. This is two coats and no issues at all with formula. Absolutely adore this shade, and think it perfectly represents Chelsea's night time proposal last year. How sweet! I only needed 2 coats and perfect formula once again. Another surprise for me. Wasn't expecting to love this one as much as I do. 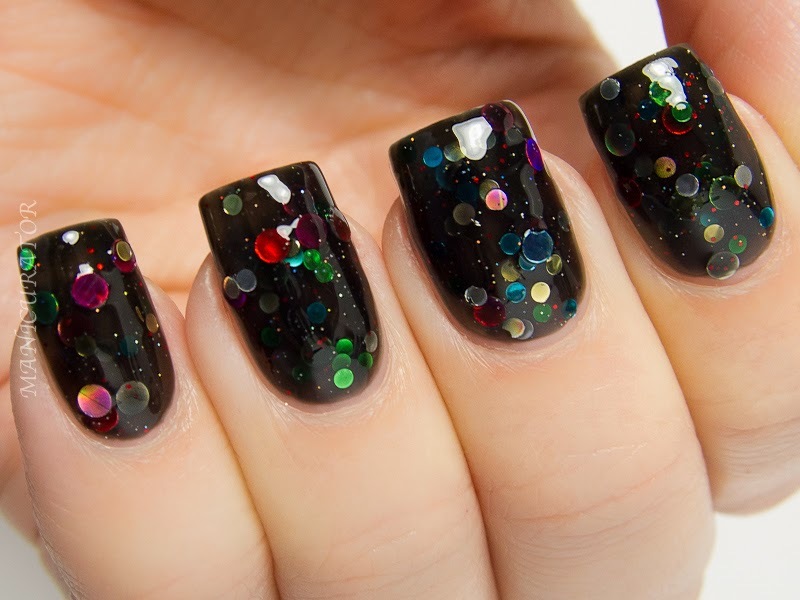 It's absolutely stunning on, the circle glitters glow from under the black jelly..totally perfect for holiday lights inspiration! I have on 2 coats with a tiny bit of dabbing to even out color in some spots. 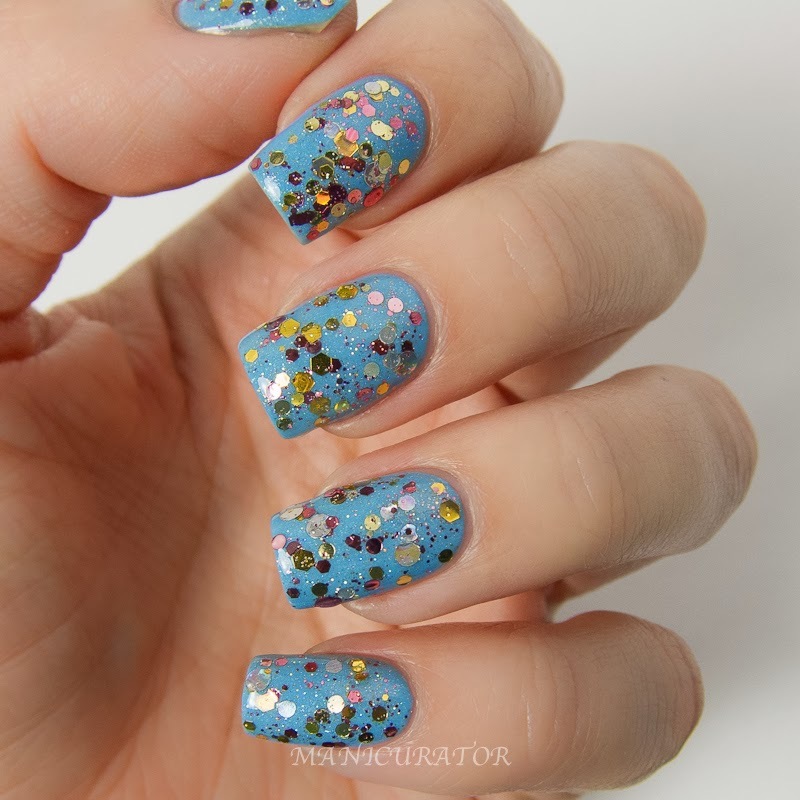 This polish is every bit as unique and colorful as Cris is! I used two coats here and was very happy with the formula and the coverage. What a perfectly rich shade this is, right? 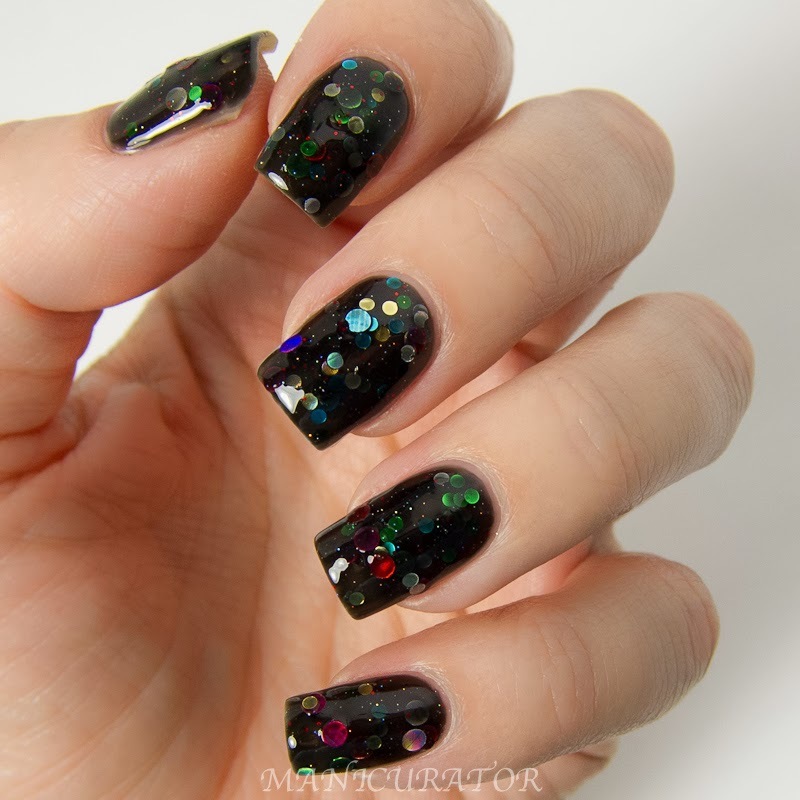 Gorgeous shimmer that isn't too bling but also isn't shy. I did need 3 coats for coverage to be uniform. 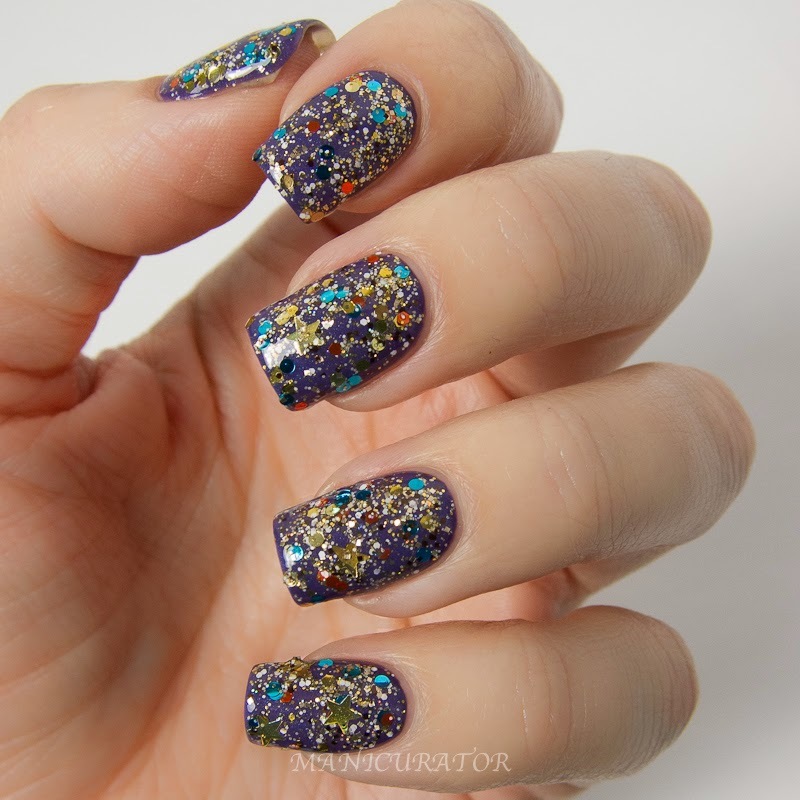 This is one coat over Plum Tuckered Out, stunning and delicate glitter top coat that can layer over literally any shade you want. I'm sure this will find itself on my nails a lot! I'm a big fan of white nails so I'll be trying this over white next for a snowy glittery look! Wow! What a fun and glitter packed polish this is!! I have on 1 coat here over KBShimmer The Grape Beyond. It's almost too much glitter. Did I just say that? eek. I love the creativity here, and so much glitter my camera pretty much didn't know what to focus on! A huge creative and comprehensive collection, eh? I LOVED being a part of this and getting to see each blogger's inspiration which you can read about for each polish on KBShimmer.com. OK, I have to ask!! Which are your top faves? Have you ordered already? OK now it's giveaway time!! • Giveaway begins today (November 5, 2013) and ends on November 19, 2013. • Entries are collected via Rafflecopter. 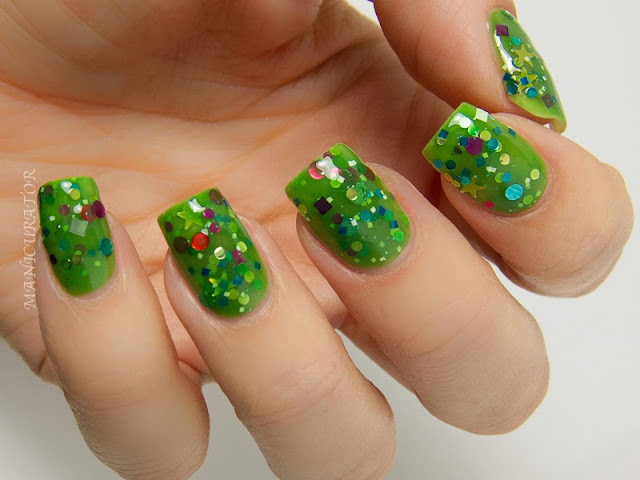 • Prizes were donated by KBShimmer. • The number of eligible entries received will determine the odds of winning. • Winners will be chosen randomly from all eligible entries on or about November 19, 2013. • The first eligible entry drawn will receive the complete Blogger collection. • The second eligible entry drawn will receive Snow Much Fun. 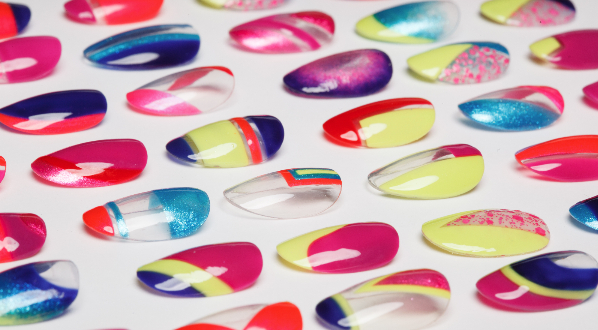 • Manicurator and KBShimmer are not responsible for technical failures or typographical errors which impact entry. • Winner will be notified by email. If potential winner does not respond within 48 hours, a new winner will be chosen. • Open internationally but VOID where contest PROHIBITED BY LAW. well you have this talent of making me want them all! Gorgeous collection and stunning swatches, as always! What a drool worthy giveaway! When I started seeing the swatches, I fell in love with yours right away. I've never seen snowflake-shaped glitter. 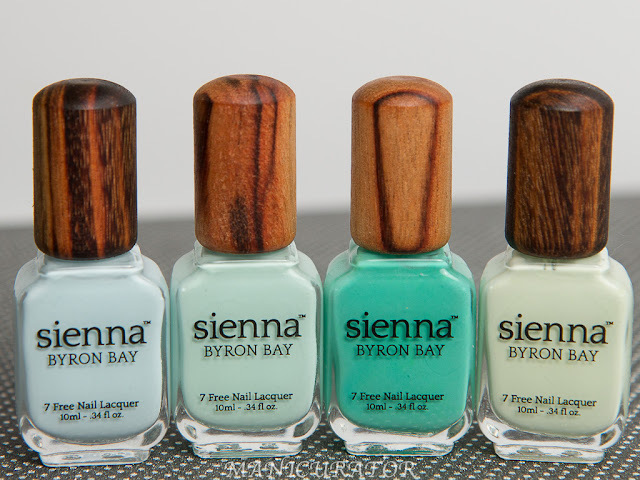 It's one of my favourites in this collection along with Green Hex and Glam and Christmas now. Have you already picked a winner? I was trying to keep an eye out for it but I think I missed it! I want snow much fun so bad! Easily one of my favorites! Thank you Elizabeth! You are so sweet. Did you end up getting any? Thank you so much! Christy is so good at what she does, right?